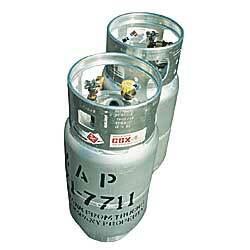 Built to the highest quality, steel or aluminum cylinders are your best choice for liquid propane fuel. Both include: service valve, safety release valve, fixed liquid level valve, safety coupler, and fast fill valve. Meet DOT 4E240 specifications. Choose either heavy steel or weather-resistant aluminum construction. FACTORY QUICK SHIPFOB ILLINOIS.